Parlor Class – meets, you guessed it, in the Parlor and discusses a range of topics which often includes book studies. The Adult Bible Study – meets in the Campus Ministry space and focuses on traditional bible study. 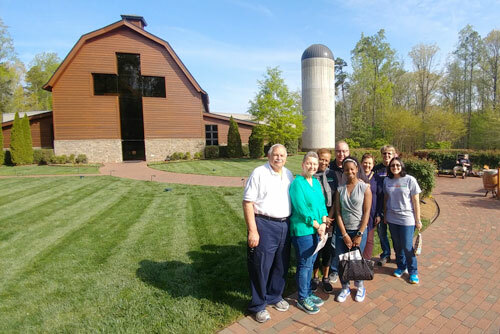 Many members of Advent are involved in Via de Cristo, a three-day retreat ministry which strengthens and renews the faith of Christians and helps them grow into leaders for Christ. Focus is on spiritual growth, study and action to change our environments for Christ. Visit Eastern North Carolina Lutheran Via de Cristo' s website.